Draft: 2009, Detroit Tigers, 11th rd. Full name ADAM ROBERT WILK...Single...Graduated from Cypress (CA) High School where he was a two-time all-league and all-county pick...Went 13-1 with a 1.17 ERA and 118 strikeouts as a senior...Attended Long Beach State where he earned second-team All-Big West Conference honors as a starter during his junior season on campus...He went 7-4 with a 2.78 ERA (third-best in the Big West)...Has been invited to seven prior Major League Spring Training camps (Detroit, 2011-2012; Pittsburgh, 2014; Los Angeles-AL, 2015; TB, 2016; NYM, 2017)...Enjoys remodeling houses... Founded the non-profit Adam Wilk Foundation in 2013...Grew up an LA Angels, favorite players were Chuck Finley and Jim Edmonds. Spent the 2017 season between the New York Mets and Minnesota Twins organizations...Spent the month of April on the AAA Las Vegas roster after signing with the Mets in the offseason...Promoted to New York on May 7 after season-ending injury to Noah Syndergaard and started that day vs. the Marlins (L, 3.2IP, 8H, 6R/5ER, 3HR, 2 by Stanton)...Designated for assignment the next day and claimed on waivers by Minnesota on May 10 and added to the Twins roster...Appeared in relief on May 14 at Cleveland (3.1IP, 3H, 2R/ER) and again a week later vs. KC before being outrighted on May 29 to Rochester, making 2 starts for the Red Wings in early June... Added to the Twins roster on June 17 for spot start vs. Cleveland in Target Field (game 1, L, 3.1IP, 8H, 6R/ER, Ramírez HR)...Designated the next day and released on June 22 (did not pitch again in 2017, initially due to hip discomfort). Held lefthanded batters to a .167 (11-66) batting average against...Made his last start of the year on June 24 vs. Lehigh Valley...Was placed on the Disabled List on June 27 and did not pitch the remainder of the year after undergoing right hip labrum repair surgery...Struck out a season-high 10 batters in 7.0 innings on June 6 vs. Norfolk...Worked 8.0 scoreless innings and allowed two hits in a win on June 13 at Buffalo...Averaged 7.73 strikeouts per nine innings (75 strikeouts in 87.1 innings). Pitched 2.0 innings of relief on April 15 at Texas... Was the only game he pitched in the big leagues in 2015...Made 25 starts for Salt Lake (AAA) of the Pacific Coast League. Led Indianapolis (AAA) of the International League in starts and innings pitched...His 14 losses were the most in the league. Spent season pitching in Korea, where he posted a 4-8 record and 4.12 ERA in 17 appearances (16 starts) with the NC Dinos of the Korean Baseball Futures League. Spent the majority of the 2011 season with Triple A Toledo, starting 18 games with the Mud Hens -- appeared in fivegames with the Tigers as he saw his first major league action during three separate stints with the club...Tied for fourth in the International League with three wins during May...Had his contract purchased by the Tigers from Toledo on May 24...Fanned a career-high four batters in his major league debut on May 26 versus Boston...Optioned to Toledo by the Tigers on May 28 -- started one game with Toledo before he was recalled on June 5...Appeared in three games with Detroit during June before he was optioned to Toledo on June 22...Recalled for his third stint with the Tigers on July 3 -- made one appearance with Detroit before he was optioned back to Toledo for the remainder of the season on July 19...Compiled a four-game winning streak with Toledo July 25-August 15 -- posted a 2.20 ERA (32.2IP/8ER) and 27 strikeouts during the five-start stretch...Struck out a season-high nine batters with Toledo on August 10 versus Louisville...Sidelined August 16-31 with a left elbow sprain...Tied for sixth in the International League with three wins during August...Held lefthanded hitters to a .222 batting average (28x126) with Toledo...righties batted .280 (77x275) against him...Named the 22nd-best prospect and rated as possessing the best control in the Tigers organization following the season by Baseball America. Selected the Tigers Minor League Pitcher of the Year after compiling an 11-5 record and 2.74 ERA (167.1IP/51ER) in27 games started between Single A Lakeland and Double A Erie during the 2010 season...named Lakeland's Pitcher ofthe Year...Assigned to Lakeland to begin the season -- earned Florida State League post-season all-star honors as he finishedfourth in the league with a 3.01 ERA...Led all Florida State League starters with 1.19 walks per nine innings and 10.15 baserunners per nine innings...Rated as possessing the best control in the Florida State League by Baseball America...Went the distance in a loss versus Daytona on June 22 -- tied for second in the Florida State League with onecomplete game...Shared Tigers Minor League Pitcher of the Month honors in June -- finished 1-1 with a 2.23 ERA (32.1IP/8ER) in fivestarts during the month...finished 11th in the Florida State League with a 2.23 ERA during June...Tabbed the Florida State League Pitcher of the Week for August 2-8 after winning both of his starts and compiling a0.60 ERA (15.0IP/1ER)...Had his contract transferred from Lakeland to Erie for the remainder of the season on August 24...Earned Tigers Minor League Pitcher of the Month honors for August -- combined to post a 4-1 record and 1.14 ERA(39.1IP/5ER) in six starts between Lakeland and Erie during the month...Named the 27th-best prospect and rated as possessing the best control in the Tigers organization following theseason by Baseball America. Made his professional debut with Single A Oneonta after being selected by the Tigers in the 11th round of the June2009 draft...Fired a four-hit shutout in the first game of a doubleheader on July 12 at Tri-City to tie for third in the New York-PennLeague with one shutout...Tabbed the New York-Penn League Pitcher of the Week for July 20-26 after he fanned eight batters over seven shutoutinnings to earn the win on July 23 at Tri-City...Tied for eighth in the New York-Penn League with a 1.57 ERA (34.1IP/6ER) in six starts during July...Had his contract transferred from Oneonta to Single A West Michigan for the remainder of the season on August 1...Finished second the Midwest League with a 1.36 ERA (33.0IP/5ER) in six starts during August...Won his only start during the Midwest League playoffs, fanning eight batters in 5.2 shutout innings. 2 de noviembre de 2018 LHP Adam Wilk eligio agente libre. 22 de enero de 2018 Cleveland Indians agente libre firmado LHP Adam Wilk con un contrato de la ligas menores y invitado a spring training. 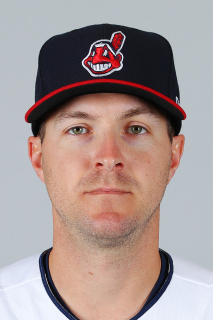 22 de enero de 2018 LHP Adam Wilk asignado a Columbus Clippers. 22 de junio de 2017 Minnesota Twins liberan a LHP Adam Wilk. 18 de junio de 2017 Minnesota Twins designado LHP Adam Wilk para la asignaci&oacute;n.
17 de junio de 2017 Minnesota Twins seleccionado el contrato de LHP Adam Wilk de Rochester Red Wings. 17 de junio de 2017 Minnesota Twins designado LHP Adam Wilk para la asignaci&oacute;n.
17 de junio de 2017 Minnesota Twins activan a LHP Adam Wilk. 29 de mayo de 2017 Minnesota Twins envian a LHP Adam Wilk envian a rotundamente a Rochester Red Wings. 27 de mayo de 2017 Minnesota Twins designado LHP Adam Wilk para la asignaci&oacute;n.
10 de mayo de 2017 Minnesota Twins reclamado LHP Adam Wilk fuera de waivers de New York Mets. 8 de mayo de 2017 New York Mets designado LHP Adam Wilk para la asignaci&oacute;n.
7 de mayo de 2017 New York Mets llamado LHP Adam Wilk de Las Vegas 51s. 3 de abril de 2017 LHP Adam Wilk asignado a Las Vegas 51s. 16 de enero de 2017 New York Mets agente libre firmado LHP Adam Wilk con un contrato de la ligas menores y invitado a spring training. 7 de noviembre de 2016 LHP Adam Wilk eligio agente libre. 6 de septiembre de 2016 Durham Bulls activan a LHP Adam Wilk de la 7-d&iacute;a lista de deshabilitado. 27 de junio de 2016 Durham Bulls ponen a LHP Adam Wilk on the 7-d&iacute;a lista de deshabilitado. 5 de abril de 2016 LHP Adam Wilk asignado a Durham Bulls. 19 de enero de 2016 Tampa Bay Rays agente libre firmado LHP Adam Wilk con un contrato de la ligas menores y invitado a spring training. 6 de noviembre de 2015 LHP Adam Wilk eligio agente libre. 26 de julio de 2015 Los Angeles Angels envian a LHP Adam Wilk envian a rotundamente a Salt Lake Bees. 24 de julio de 2015 Los Angeles Angels designado LHP Adam Wilk para la asignaci&oacute;n.
19 de abril de 2015 Los Angeles Angels opcionado LHP Adam Wilk para Salt Lake Bees. 15 de abril de 2015 Los Angeles Angels seleccionado el contrato de Adam Wilk de Salt Lake Bees. 23 de diciembre de 2014 Los Angeles Angels agente libre firmado LHP Adam Wilk con un contrato de la ligas menores y invitado a spring training. 23 de diciembre de 2014 LHP Adam Wilk asignado a Salt Lake Bees. 29 de agosto de 2014 Indianapolis Indians activan a LHP Adam Wilk de la 7-d&iacute;a lista de deshabilitado. 29 de julio de 2014 Indianapolis Indians activan a LHP Adam Wilk de la lista temporalmente inactiva. 26 de julio de 2014 Indianapolis Indians ponen a LHP Adam Wilk en la lista de inactivos temporalmente. 2 de abril de 2014 LHP Adam Wilk asignado a Indianapolis Indians. 18 de diciembre de 2013 Pittsburgh Pirates agente libre firmado LHP Adam Wilk con un contrato de la ligas menores y invitado a spring training. 19 de diciembre de 2012 Detroit Tigers liberan a LHP Adam Wilk. 29 de octubre de 2012 Detroit Tigers activan a LHP Adam Wilk. 26 de abril de 2012 Detroit Tigers opcionado Adam Wilk para Toledo Mud Hens. 14 de abril de 2012 Detroit Tigers llamado Adam Wilk de Toledo Mud Hens. 24 de marzo de 2012 Detroit Tigers opcionado Adam Wilk para Toledo Mud Hens. 17 de octubre de 2011 Adam Wilk estado en la lista cambian a por Detroit Tigers. 31 de agosto de 2011 Toledo Mud Hens activan a LHP Adam Wilk de la 7-d&iacute;a lista de deshabilitado. 17 de agosto de 2011 Toledo Mud Hens ponen a LHP Adam Wilk en la 7-d&iacute;a lista de deshabilitado retroactivo al August 16, 2011. 20 de julio de 2011 Detroit Tigers opcionado LHP Adam Wilk para Toledo Mud Hens. 3 de julio de 2011 Detroit Tigers llamado Adam Wilk de Toledo Mud Hens. 23 de junio de 2011 Detroit Tigers opcionado Adam Wilk para Toledo Mud Hens. 5 de junio de 2011 Detroit Tigers llamado Adam Wilk de Toledo Mud Hens. 28 de mayo de 2011 Detroit Tigers opcionado Adam Wilk para Toledo Mud Hens. 24 de mayo de 2011 Detroit Tigers seleccionado el contrato de Adam Wilk de Toledo Mud Hens. 30 de marzo de 2011 Adam Wilk asignado a Toledo Mud Hens de Erie SeaWolves. 10 de enero de 2011 Detroit Tigers invitado fuera del roster LHP Adam Wilk para spring training. 24 de agosto de 2010 Adam Wilk asignado a Erie SeaWolves de Lakeland Flying Tigers. 3 de abril de 2010 Adam Wilk asignado a Lakeland Flying Tigers de West Michigan Whitecaps. 19 de marzo de 2010 LHP Adam Wilk asignado a Detroit Tigers. 1 de agosto de 2009 LHP Adam Wilk asignado a West Michigan Whitecaps de Oneonta Tigers. 19 de junio de 2009 Adam Wilk asignado a Oneonta Tigers de Detroit Tigers. 17 de junio de 2009 Detroit Tigers firmado Adam Wilk.